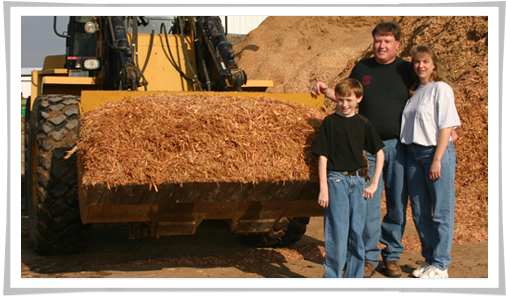 Over the years our business has grown from one sawmill with one employee to two sawmills, a band resaw, a mulch machine and 12 employees. If you are looking for red cedar cants, we produce lumber grade cants and also veneer grade cants. We also export red cedar cants all over the world. Being one of the largest producers of Aromatic Red Cedar lumber and mulch products requires a lot of raw material. To satisfy the high demand for quality Aromatic Red Cedar we are constantly in search of good quality Aromatic Red Cedar logs and standing timber. Glasscock Log & Lumber offers its Aromatic Red Cedar and hardwood mulch and bedding products in both retail and wholesale quantities. Glasscock Log & Lumber is one of the largest producers of aromatic red cedar lumber in the United States and we specialize in producing aromatic red cedar cants. Also, we are proudly known for supplying the buyer with only quality products delivered on time and at a fair price. Glasscock Log & Lumber has built its business upon a reputation, locally, statewide with its worldwide trading partners, of honesty and integrity. To continue our growth we need honest, drug free, dedicated staff. If you are looking for red cedar cants, we produce lumber grade cants and also veneer grade cants. Our lumber grade cants are random width and thicknesses that the customer takes and breaks down into lumber to use in whatever they are manufacturing. Our veneer grade cants are used for slicing and are currently being used for paneling and laminated boards. Glasscock Log & Lumber specializes in exporting red cedar cants all over the world. Being one of the largest producers of Aromatic Red Cedar lumber and mulch products requires a lot of raw material. To satisfy the high demand for quality Aromatic Red Cedar we are constantly in search of good quality Aromatic Red Cedar logs and standing timber. We pay top dollar for logs delivered to our yard in Bloomfield, Kentucky. All of the Aromatic Red Cedar we purchase is bought by weight. We also buy standing cedar timber in Kentucky. Aromatic Red Cedar is superior to other mulch because of its fragrant smell and ability to drive away most insects.